Apple intends to donate an undisclosed sum to relief efforts associated with fallout from Hurricane Michael, which made landfall in Florida as a Category 4 hurricane on Wednesday. Apple CEO Tim Cook announced the upcoming donation in messages of support of support posted to Twitter. "I grew up on the shores of the Gulf Coast, near Pensacola and Mobile, and that region holds a special place in my heart. That's never been more true than now. To all those communities in the path of Hurricane Michael, you are in my prayers. Please stay safe," Cook said. "Apple is standing with our friends and neighbors in the Gulf Coast region, and will be donating to recovery and relief efforts." While the amount of Apple's donation has yet to be determined, the company typically pledges $1 million to natural disaster relief efforts. Earlier this month, Apple donated $1 million to earthquake and tsunami relief efforts in Indonesia, while identical contributions went toward programs assisting in the aftermath of Hurricane Florence and the Kerala floods in India last month. Apple will likely open iTunes donations for the American Red Cross in the near future. Michael made landfall on the Florida Panhandle Wednesday afternoon as one of the most powerful storms in the state's recorded history. The maelstrom came bearing maximum sustained winds of 155 mph, and was characterized by the National Hurricane Center as "potentially catastrophic," according to CBS News. 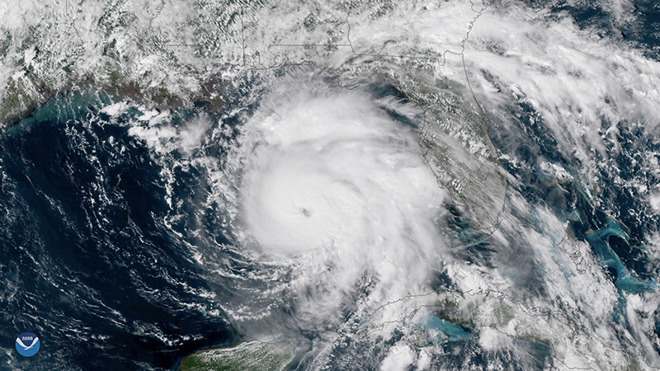 As of this writing, Michael has killed at least one person in Florida and is packing 100 mph winds as it travels over parts of Alabama and Georgia.